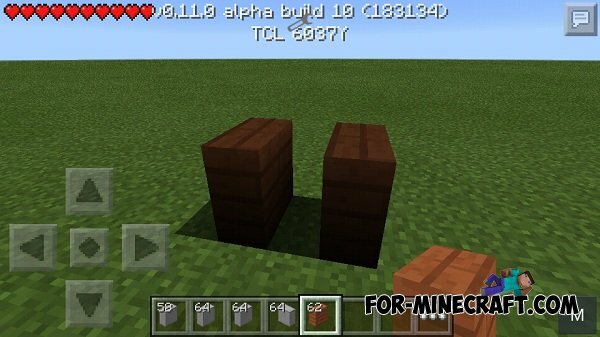 You can create a blocks using the recipes (see recipe below), or in a creative mode. Stone mini block (244-241) - 3 stones. Cobblestone mini block (240-237) - 3 cobblestone. Spruce mini block (232-229) - 3 spruce boards. Birch small block (228-225) - 3 birch board. Acacia small block (220-217) - 3 acacia board. Dark oak small block (216-213) - 3 dark oak planks. Sandstone mini block (209-205) - 3 blocks of sandstone. Quartz small block (200-197) - 3 quartz block.